In order to append and respond to the emerging requirements of esteemed clients, we are able to offer a supreme range of SPM Panels. The offered range is designed & developed utilizing high grade raw material and latest machinery in conformation with the industry laid norms and standards. Along with this, the offered range is available in different customized specifications with respect to the diverse requirements of esteemed clients. Used in a wide range of industrial and electrical purposes for a controlled and stabilized flow of electricity from the main source of voltage to different appliances. 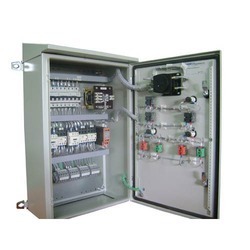 Electronic Control Panel offered find application in different industrial process usage areas and are made available in two categories comprising fully draw out motor control centre as well as non draw out motor control centre. Here, our expertise lies in offering these in superior design finish standards that also makes them easy to install as well as maintain. Further, these precision functioning electronic control panels are controlled through plug-in single-zone or wall-mount 2-zone controller and also come integrated with digital display so as to provide easy read-out of the set values as well as the measured values. Other than this, the panels are controlled through plug-in single-zone or wall-mount 2-zone controller so as to ensure deliverance of optimum functioning standards. Banking on our capability, we manufacture, distributor and also trade a qualitative choice of HVAC Panel which are mostly used in the global arena. We supply these at cost efficient prices, as these are capable of giving higher output while consuming less power. These are manufactured using superior quality materials and are highly resistant to high temperature levels in nature and high in performance. Our range is available in various sizes as per client’s requirements. Our organization is dedicatedly engaged in offering wide range of Single Phase Electrical Panels For Submersible Pumps. The offered pumps find wide applications in domestic and commercial sectors. These products can be availed by the clients in varied models & current range. Our products provide protection against dry running (Mode SSS-RW-D / ELCW-D), overload by electronic relay. The offered products also provide protection against high/low voltage (Model : SSS-RVV-S). These products also have inbuilt volt & ampere meter. Available in different models & current rang. Inbuilt volt & ampere meter. 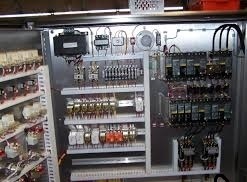 Our clients can avail from us Single Phase Panels with Liquid Level Controllers.The offered products have fully automatic controls from underground to over head tank, which saves man power. Our products are available in available in MOB & Contractor models. These products provides protection against overload by MOB or Thermal Relay. They also restrict over flow of water & dry running of water pump, which saves water & energy. Fully automatic controls from under ground to over head tank.so, no man power required. Restrict over flow of water & dry running of water pump, which saves water & energy. Clients can avail from us an inclusive range of Water Treatment Control Panel for Water Purification and Treatment which are contrived using most innovative technology and best components. We obtain these products with extreme care after testing them on a number of quality parameters, which are highly appreciated for its features like quality, durable and resistance to rust, and dimensional accuracy. Clients can avail these at cost effective prices and also make them modified as per their convenient. 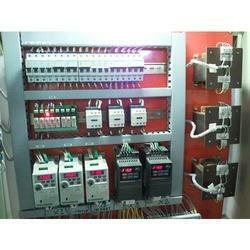 Remote Input/Output Panel, also called ET-extended termination stations are located in the field near the applications. 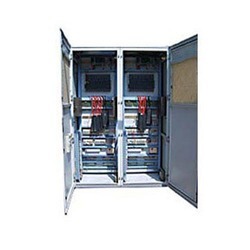 Whole of the cabling from the field devices and equipment is terminated in these panels. 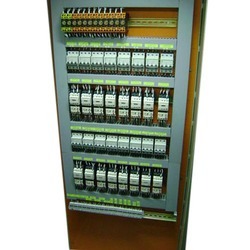 These remote input, output panels result in considerable saving in terms ofcables and cabling costs as they are in field. 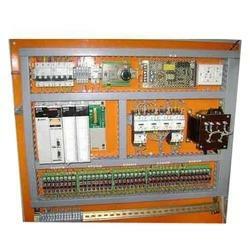 We are a prominent name, which is engaged in offering a superior range of Soft Starter Panels. The offered range of soft starter panels is available in different customized specifications and forms in accordance with the diverse requirements of honorable clients. In addition to this, the offered range is designed & developed in conformation with the international quality standards. Being one of the leading and trusted traders and suppliers, we are involved in offering a superlative range of Control Panels. Fabricated in compliance with internationally acclaimed guidelines using high grade raw material, these panels are offered in standard as well as customized specifications.